have a virus? issues with the wifi? we're here to help. Schedule an appointment to have us come to you. Most services can be performed in-home for an hourly rate. You can also bring your computer to us. In-store service tends to be the cheapest as it is almost all flat-rate. Need help in a hurry? As long as you have an internet connection, we can securly remote into your computer to assist you. No need to wait for someone from the big city. We're right here in your neighborhood! Only ~15 minutes away from Lyons, Tekamah, West Point and more! Computer have a virus? We can help! We specialize in virus removal including malware, ransomware, spyware and more. We haven't yet met a virus that we couldn't defeat. Laptop screen broken? Desktop won't start up? Windows keep crashing? We can make your computer good as new. 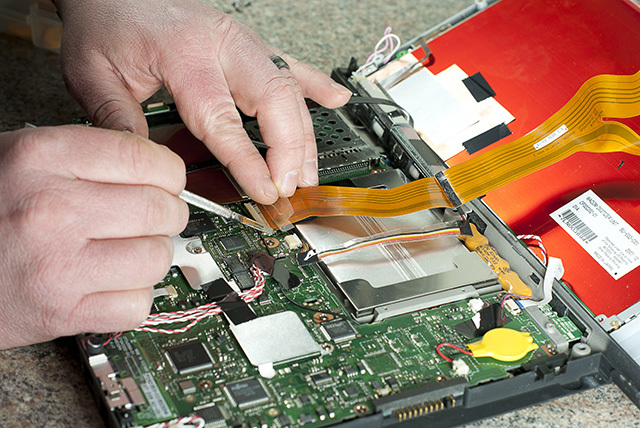 We offer full repair services for PC and Mac desktops and laptops. Computers are vulnerable devices. We provide monitored anti-virus and backup plans as well as stand-alone products you can manage yourself. Is your computer as old as the hills? We sell desktops and laptops from all the major brands like Dell, HP, Lenovo and more. Want something completely different? We do custom builds too! WiFi has come a long way over the years. It's no longer acceptable to have it in just one or two rooms. We can help you get signal throughout the entire house and then some. Has your hard drive quit on you? Don't give up! We've partnered with some of the best in the industry to give you the highest chance of retreiving your data possible. We understand that time is precious and sometimes schedules can conflict, so we try to be as flexible as possible to meet your needs. If you have a special time of day that works best for you, just let us know and we'll do our best to accommodate you.